Coach Ed Temple was a legend, the embodiment of perseverance, determination, and success both in Nashville and across our country. As women’s track coach at Tennessee State University for 44 years and head coach of the U.S. Women’s Olympic track team in 1960 and 1964, Temple ranks among the most impressive leaders in the history of sports both nationally and internationally. He is recognized for the impact he made, not just on the lives of his Tigerbelles and the world of track, but on our society. 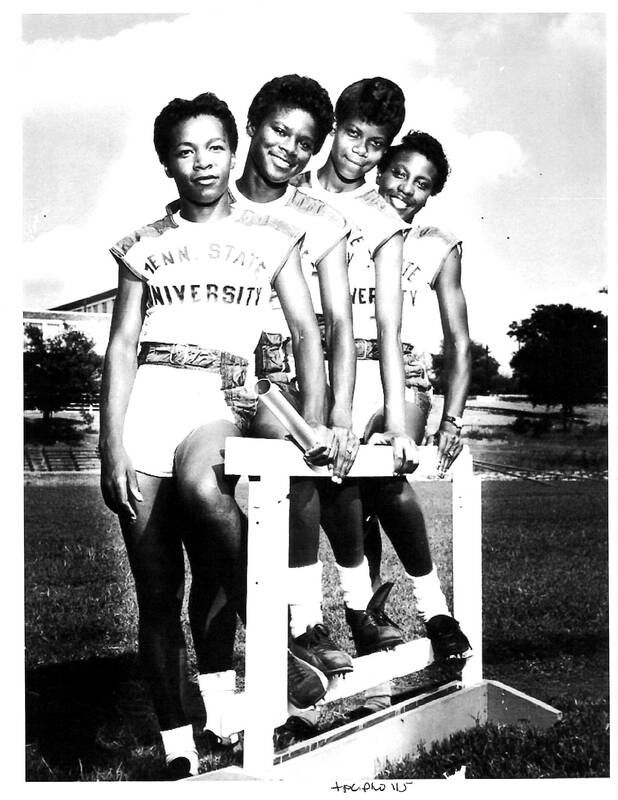 The success his program achieved operating in the Deep South during the days of Jim Crow is as much a testament to his strength and determination, and that of his Tigerbelles, as any records they set on the track. Temple first began his TSU coaching career in 1950 and had to fight and scrap for funds to support his team for his entire career, long after the Olympic triumphs. As important as his contributions on the track were, the legacy he created off it was significantly more lasting. Coach Temple was a gentle and humble man but a feared and respected disciplinarian and father figure to his young charges. He was justifiably proud that every single one of his 40 Olympians earned her college diploma; just as he was of his 23 Olympic medalists — 16 of them earning gold medals. Tigerbelles acted like ladies. They had class. They went to class. And they all graduated from college, many with master’s and doctorate degrees. The most renowned Tigerbelle of them all, Clarksville native Wilma Rudolph, shocked the world at the 1960 Rome Olympics, becoming the first American to win three gold medals in one Olympiad: the 100- and 200-meter dashes, and the all-TSU 4×100-meter relay. Temple died in September 2016 at age 89. His memorial service packed Kean Hall Gymnasium on the TSU campus, with a host of Tigerbelles returning to give testimonials, share laughs and shed tears. Their legacy lives on thanks to “Mr. Temple and the Tigerbelles,” a documentary from award-winning Nashville documentary filmmaker and producer Tom Neff. Despite limited funding during filming, Neff was able to pull interviews from The New Hope Academy and Tennessee State archives to round out Coach Temple’s story. The 40-minute film debuted on cable’s CBS Sports Network last winter, was shown at the HollyShorts film festival in Los Angeles last summer, and had public screenings this fall at downtown’s Nashville Public Library and at Vanderbilt University. On August 28, 2015, a little over a year before his passing, a statue to memorialize Coach Temple was unveiled outside First Tennessee Park. 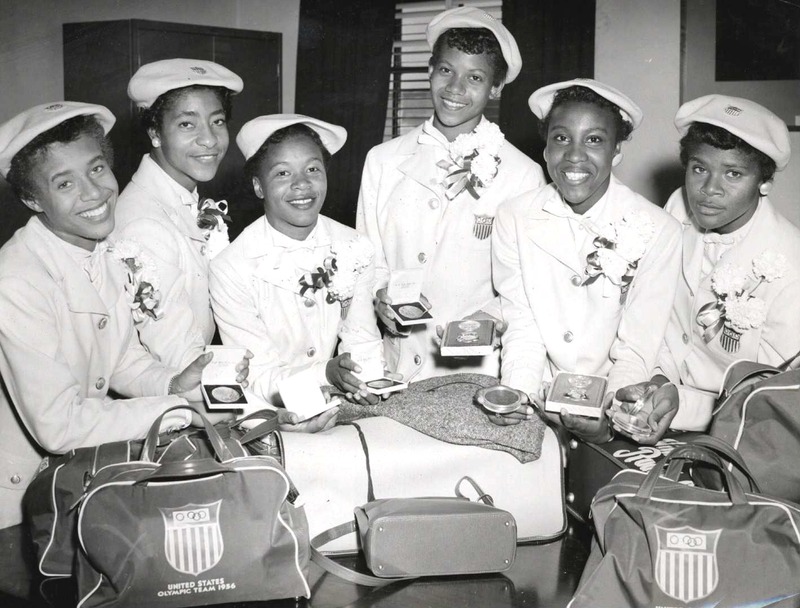 In the face of the segregated south, Ed Temple and his Tigerbelles not only broke the color barrier of the Olympics but created a legacy of pride, courage, and accomplishment. The women of the Tigerbelles share a genuine bond that stretches far beyond graduation, their track careers, and the death of their beloved coach. An assistant professor at Middle Tennessee State University and founder of the Documentary Channel, Neff recently took time to discuss the project. Describe how you got involved in the “Mr. Temple and the Tigerbelles” project. I was asked by Bo Roberts if I might interview the Tigerbelles, who were coming to Nashville for the dedication of the Ed Temple statue [located outside First Tennessee Park near Centennial Mall] in 2015. I had known Bo for many years, had worked with his wonderful wife, Leigh Hendry, and Lois Riggins-Ezzell of the Tennessee State Museum, and was glad to help. I knew of Wilma Rudolph fairly well, but not of the Tigerbelle legacy. Because of the compressed time schedule at the statue dedication, it was clearly not possible to do sit-down interviews. So we took an innovative approach and filmed them, along with Coach Temple, at Swett’s restaurant. Although the footage seems very improvised, it was actually a highly planned setup, with each Tigerbelle who “extemporaneously stood up” and spoke, we lit and adjusted for camera and sound. So the footage was very successful, and was both high-quality and yet had that feeling of being somewhat off the cuff. Once I filmed them, I said, “There is obviously a doc[umentary] here.” And so we started. That was over two years ago, so this has been a long labor of love. Here is an irony: I have a great deal of stock/historical footage I own and have collected over the years. I knew I had, in fact, a film on Wilma Rudolph. I saw it years ago, knew of Wilma, thought it might later be useful, and have had it for over 10 years. With the Swett’s footage, the film on Wilma, and some other footage, we put together a promo film to raise funds. In the Wilma footage, not only was there footage on Coach Temple, but it had footage of [city official and former Nashville vice mayor] Howard Gentry’s mother [educator and civil rights pioneer Carrie Gentry], and Howard has a long, long history with Wilma and the Tigerbelles: Wilma used to babysit him when his father [Howard Gentry Sr.] was football coach! So clearly, this was a project meant to happen. Describe the ongoing legacy of the Tigerbelles. It seems like there’s a genuine bond between them long after they’ve graduated from TSU and ended their track careers. Semper fi — always faithful. To be a Tigerbelle can only be compared to being a Marine. The regimen was equally strenuous, the accomplishments equally spectacular, and the bond equally strong. The ladies would talk about how the “older” ones (all of 18 or 19 years old) would help the beginners: They would never leave one behind in practice. They would help them with their schoolwork. They would teach them how to run. Barbara Jones talks eloquently about how they taught Wilma how to run, and then laughed at how Wilma then put dirt in their faces with her speed. Being a Tigerbelle becomes a permanent bond of pride, accomplishment, and a badge of courage. This is passed on today. Coach [Chandra] Cheeseborough, herself a gold medalist Olympian, requires each Tigerbelle today to research a former Tigerbelle, speak to them, and write a report. The Tigerbelles today are very aware of the legacy of those who went before. But this support carried through and has carried through. They are closely in touch. Ed Temple’s daughter, Edwina, serves as a conduit, keeping track of emails, locations, and events, as well as serving as the archivist. Describe how Coach Temple’s death affected the production. There was a great lesson there. I knew I needed to do more interviewing with Coach Temple. But there was no funding, and I was teaching full time at MTSU. Coach Temple was in his late 80s. I was working on scheduling an interview, when he suddenly took a turn for the worst and was no longer able to be interviewed. He never recovered. It was one of those, “I should have scheduled the interviews anyway, funding or not …” At the celebration at his funeral, we were the only ones able to shoot at all. So we had some very moving footage. It is not uncommon in documentaries to have to search for interviews. So Shelley Hay, my co-producer, and I started to investigate. New Hope Academy had done some extensive interviews. The Tennessee State Archives also had an older interview given to them by the Nashville Banner. So there was plenty of footage, ultimately, on Coach Temple. And to a great extent, the film was about the women. They would not have achieved what they did without the coach, but without their work and struggle, he could not have achieved his goals, either. Coach Temple and the Tigerbelles were yin and yang. They were symbiotic. Both could not have existed without the other. That balance was a great challenge for us in the film: to have enough of either, but not enough to overshadow the other. Yes, Coach Temple passed earlier than anticipated, and this was a challenge. But on the other hand, no one had talked to or interviewed the women at all. There were no interviews of the women, and therefore all of those had to be original. Shelley and I often worked with no help at all, lugging many lights, operating camera, sound, and lighting completely alone. You’ve returned to Nashville luminaries time and again, from your first Oscar-nominated documentary about a renowned Nashville native artist, “Red Grooms: Sunflower in a Hothouse” to country music feature documentary and now “Mr. Temple and the Tigerbelles.” What is it about Nashville and Nashvillians that makes for great documentary subjects? The South is rich with characters and story. Southerners have a point of view. The great writers of the last half of the century have been Southern. So documentaries, another form of storytelling, are a natural for the South. When I was at [the University of Southern California] film school, I was known as the one who would return. That is, I had already decided that after film school I was going to return to Nashville to form a film company, because I believed that Nashville was going to be, eventually, a production center, and that I could perhaps contribute. This was 1983. I recognized and worked with such luminaries as Louise LeQuire and Lois Riggins-Ezzell and Leigh Hendry, who also saw the vision. We all saw great artists and great stories that had never been told and that needed to be told. Many have asked me how I come to the stories and docs I film. I do not sit at night thinking, “This would be a great doc.” That can happen, and I have thought of docs from whole cloth. However, usually it is a whisper in my ear, “Did you hear about…? Did you know of…?” And a good documentary filmmaker listens above all. It is not about talking; it is about listening. It is by listening that you find the great stories. You’ve been a professor at MTSU for several years now and have a long background in teaching. What’s it like instructing your students on the nuts and bolts of filmmaking, knowing the final product is going to be seen by the public? Before I went to film school, I taught 6th, 7th, and 8th grade English and art at Overbrook School in Nashville, and it was perhaps the most satisfying time of my life. I still see “my kids.” I was a kid myself. So I very much enjoy teaching, and sometimes I admittedly am a pretty tough master. Because it is going to be seen by the public, because someone is giving their most precious gift of all – their time – to watch a student’s film, I am insistent upon excellence. And because a film is never perfect, can never be perfect, there is always work to do. But the films my students have made have won national awards; one won best short student documentary in the country! This is the most satisfying gift to a professor of all: to have one’s students’ work recognized and appreciated. My next project is another labor of love. It is a feature length documentary called “Clemmie Unfiltered” and is about my hero, Clemmie Greenlee. Clemmie is an African-American activist who is heading a crusade against violence, especially violence against young black teens. I have been filming Clemmie for over 12 years now. I filmed the burial of her son. I filmed, at the same cemetery 10 years later, the burial of her nephew. It is a film that is very unusual for me: I simply started filming because I believed in her. I had no money, no “outlet” for distribution, no real plan, other than to make as good a film as I could. I now have well over 100 hours of footage on Clemmie, and am about 95 percent shot. I am looking now for money to edit and finish the film, and I will find it somehow. Talking about Nashville, this is another great story that has not been told. Clemmie has been working selflessly for over a decade, herself a survivor from the streets, to raise her community, and to protest the violence against black youth – by many – and I want to help her take her story to the nation. Violence all over the world is awful; but how about focusing on the violence in our own backyards? This is what I am hoping this film might do. I can’t do much. But maybe I can help give Clemmie a voice, help her cause, and that is plenty for me. Include with the check: Your Name, Address, City, State, Zip, Email for confirmation. A portion of the proceeds will go to the Ed and Charlie B. Temple Scholarship Fund and the Coach Edward S. Temple Fund for New Hope Academy, both administered by The Community Foundation of Middle Tennessee.